JOHN HICKS B.A., M.A., LL.B. 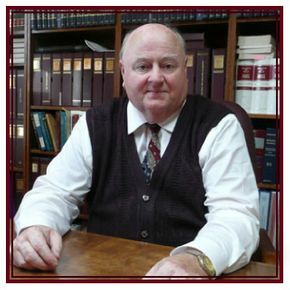 Serving Burlington and the surrounding communities since 1986, John Hicks Law Office has provided legal expertise and advice to individuals, families and the business community. We take pride in providing our clients and their families with sound legal advice and competent assistance. Over the years, we have established a solid working relationship with individuals and members of the business community for personalized legal services. Whether you have an estate, family law or business dispute, you will benefit from our experience in assisting our clients to find fair resolutions through mediation or through litigation. Bring us your evidence and we can help sort through the complexities of your problem. We strive to find practical and workable solutions while preserving respect and fairness, for all parties to the dispute. We mediate, advocate or litigate. It is often said that litigation is "not a tea party". Anyone who has been involved in significant litigation will instantly understand how different the stress, anxiety and adversarial nature of the litigation process is from a calm meeting of friends. Litigation is also not a "bed of roses". The most significant similarity between the two is with the thorns, brambles, obstacles and other hazards one is sure to encounter. Do not go unprepared. You will most certainly benefit from an expert guide, who regularly exercises sound judgment, to help you through the thorny places, especially if you are already significantly in the dark. The law is much clearer than it often seems, however different that may be from what you expect. Whether you need to litigate or mediate or require assisted self-representation, we can assist throughout the process with detailed analysis, planning, document preparation and advice, with a view to a satisfactory settlement or judgment. People are often unable to pay the tens of thousands of dollars in legal fees which litigation sometimes costs. Nevertheless, they find themselves in court under circumstances from which they cannot easily walk away. Under such circumstances, it is not unusual for such people to ask for our services on a limited retainer, to address such matters as a case review, an explanation of the law, a clarification of the forms and processes, a review and assessment of the evidence or any other matter of concern. You will pay as you go, only for the services you receive. If you are an executor and you have a concern or dispute about a will or real estate matter, you will benefit from sound legal advice, incisive judgment and competent advocacy. Possibly you are an interested party and have questions about the will and the circumstances under which it was prepared or you may have concerns about the trustee or his or her actions. You will want to contact us further for a thorough review and assistance. If you want to have a say in the distribution of your estate after you have passed away, you need to properly review the considerations involved in making a proper will which will carry out your wishes. Do it now. Only then can you have peace of mind and the confidence that your wishes will be truly carried out. Call John Hicks Law Office today for an appointment. Confidential support for dispute resolution. Create a will that supports your wishes.